Raymond Heer, captain of the 42.5 metre private yacht Angiamo, explores the Indonesian region famous for its fierce giant lizards While not technically man-eaters — the Komodo dragon prefers a water buffalo, given the choice — these giant lizards have, on occasion, given the undertakers some business. While they remain the region’s main draw, they are by no means the only attraction. You can jump in the water almost anywhere in the park to see an abundance of marine life and there’s a mind-blowing variety to explore. Day One Meet your yacht at Labuan Bajo, Flores, before setting sail for the northern side of Komodo. En route you can have an easy afternoon dive or snorkel at Golden Passage, a great drift dive – you’ll see colourful soft corals and plenty of turtles. Dinner will be served to you on board, with Komodo’s rugged cliffs as a backdrop. 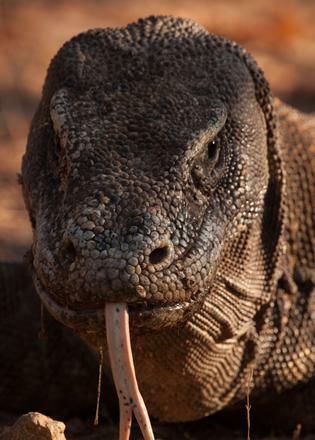 While not technically man-eaters — the Komodo dragon prefers a water buffalo, given the choice — these giant lizards have, on occasion, given the undertakers some business. While they remain the region’s main draw, they are by no means the only attraction. You can jump in the water almost anywhere in the park to see an abundance of marine life and there’s a mind-blowing variety to explore. 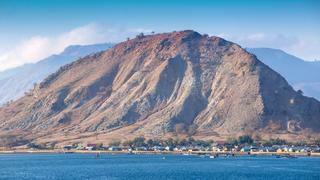 Meet your yacht at Labuan Bajo, Flores, before setting sail for the northern side of Komodo. En route you can have an easy afternoon dive or snorkel at Golden Passage, a great drift dive – you’ll see colourful soft corals and plenty of turtles. Dinner will be served to you on board, with Komodo’s rugged cliffs as a backdrop. Sail to Sumbawa, the larger neighbouring island, and head into Wera village to see traditional wooden phinisi sailing boats being built. Afterwards head north to anchor off Pulau Sangeang, a volcanic outcrop, where you can snorkel in hot bubbles coming off the reef — it’s like swimming in a glass of Champagne. Then enjoy real Champagne and canapés as the sun sets. 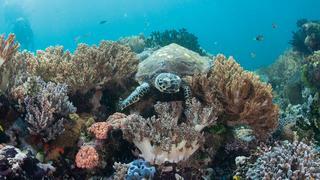 Head to the north of Komodo and the famous Castle Rock dive site, one of the best dives in the world. 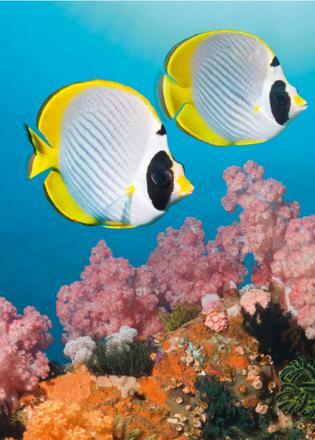 The current here can be strong, so use a reef-hook to anchor yourself and enjoy the parade of schooling trevally jacks, grey reef sharks and clouds of fusiliers. You can stroll on the beach in late afternoon (maintaining a safe distance from any dragons) and then remain anchored in the bay for the night. Today it’s time to try the challenging drift dives between Komodo and Flores, such as Tatawa Besar and Tatawa Kecil. These sites have walls of soft orange corals where the current flows, and large hard-plate corals in the calm areas, where you can see the occasional blue ribbon eel and colourful, slug-like nudibranchs. You can then enjoy cocktails in the late afternoon as you sail to Horseshoe Bay, between the southern tip of Rinca Island and Pulau Kode. You will spend the day anchored in Horseshoe Bay. You can look out for passing dragons and jump into the tender to go to the beach when a good photo opportunity arrives. An afternoon dive at Cannibal Rock means you can see the unusual sea apple, lots of tunicates and feather stars. Beware: the water is cold here. 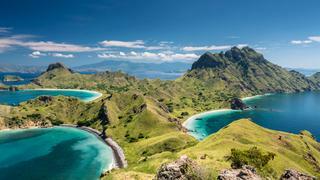 Today your yacht heads to Manta Alley, on the southern side of Komodo. 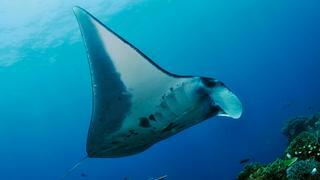 Depending on the manta ray activity, you may want to spend the entire day here. 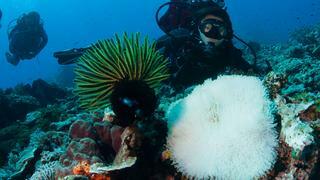 Or, you can explore other dive sites, such as German Flag, before sailing to Rinca later. Anchor off the park headquarters at Rinca, where you can take a guided morning trek to see the Komodo dragons. In early afternoon sail back to Labuan Bajo, where you can pick up some keepsakes: bartering for pearls and wooden carvings of dragons with the locals, who come out to the yacht on anything that floats. Sip a cold Bintang beer in the Paradise Bar as the sun sets. Departure day. You can see the whole lot again, from the air. 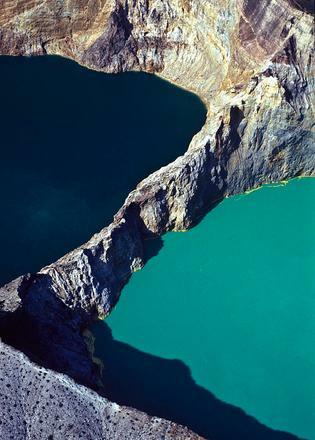 If you are interested in a bit more adventure then sail on east to Maumere, where you’ll see the elusive mandarin fish and the three different coloured lakes of the Kelimutu volcano. It’s a fairly long sail (160nm) but the water is generally blue and whales and dolphins can often be seen en route.